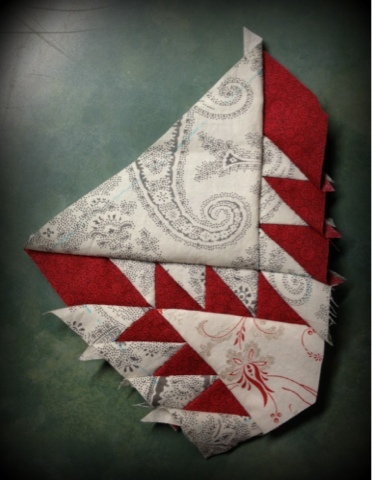 I need a twelve-step group for quilters! I started another quilt. I just couldn’t wait any longer to see how it was going to look with the fabrics I bought (a long time ago). I’m in love!!! 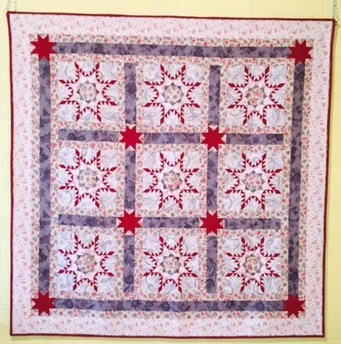 This will be entirely hand pieced, appliquéd and quilted. Entirely! By hand! Way to go! Just think you will never be labeled a procrastinator, or fearless. Looking forward to upcoming posts!